Enter through the hospital’s Main Entrance. Go to the Medical Imaging Department. Please have insurance information available. If your physician has given you a written order, please have it available when scheduling your appointment and bring it to your appointment. 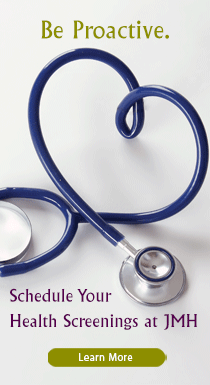 No appointment necessary for general xray exams – available 24 hours a day. For your imaging test reports, contact your physician’s office or create your My JMH Patient Portal and view them online. The Medical Imaging Department at Johnson Memorial Hospital offers a variety of advanced diagnostic equipment to help our physicians accurately and quickly see what is happening inside our patients, without so much as scratching the skin. Our kind and caring staff will be with you to walk you through your procedures. If you have any questions or concerns during the exam, please let your technologist know. You have the freedom to choose your imaging facility and there are many reasons to choose Johnson Memorial Health. Because we use a fully electronic imaging system, the images are available immediately on our Picture Archiving and Communication System (PACS). For physicians in our JMH network, this means immediate access to your images upon completion of your procedure. Medical Imaging is nationally accredited by the American College of Radiology (ACR) and Healthcare Facilities Accreditation Program (HFAP). We have partnered with Radiology of Indiana for reading and interpreting the imaging tests performed at our hospital. Our technologists bring decades of experience in Radiology and are nationally accredited with the American Registry of Radiologic Technologists (ARRT) and maintain licensure with Continuing Education events and training. If at any point you have a question or concern about the exam, please notify your technologist. As a physician’s order is required for all radiology exams, some doctors will fax or digitally send your order to us. If your physician has given you a written order, please have it available when scheduling your appointment and bring it to your appointment along with insurance information. Using advanced imaging technology, the interventional radiologists at Johnson Memorial Hospital perform a wide range of procedures to diagnose and treat many conditions from cancer to vascular disease. Interventional Radiologists are physicians with additional specialty training in radiology. Image guidance includes X-rays, magnetic resonance (MR), computed tomography (CT) scans and ultrasound. The interventional radiology team will also utilize the catheter/interventional radiology lab at Johnson Memorial Hospital when necessary. Most IR procedures can be performed on an outpatient basis, but inpatients can receive the service as necessary. Patients undergoing an IR procedure typically do not require general anesthesia, so they retain the ability to breathe on their own, are conscious, and can respond to instructions. Physicians at Radiology of Indiana are all board certified in radiology. Many Radiology of Indiana radiologists have additional board certifications or are fellowship trained in MRI, nuclear medicine, vascular radiology, interventional radiology, neuroradiology and/or breast imaging. You may pre-register or schedule your imaging test by calling 317.346.3750 between 8 a.m. and 5 p.m. Monday - Friday. No appointment necessary for general exams, which are available 24 hours a day.